212 Communications helps companies navigate crises, the media, and the intimidating world of social media; build their business by enhancing their images, status, and reputation; and connect with communities, the media, and those with a common interest. 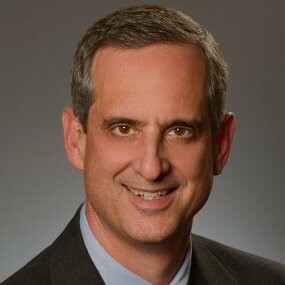 Prior to becoming a partner in 212 Communications in 2015, Bill Atkinson led the Weber Shandwick’s environmental public relations practice in Baltimore and worked with clients that included Constellation Energy, Honeywell, General Motors, Bank of America, Promontory Financial Group and 1st Mariner Bank. Atkinson was a business columnist and financial reporter at the Baltimore Sun where he wrote a twice-weekly column that tracked the personal dimensions of top executives of Maryland corporations. He was also the newspaper’s economics correspondent and covered the banking industry, stock market, mutual funds, brokerage houses and investment banking. Atkinson serves as a board member for the incentive-based financial education nonprofit organization, Stocks in the Future. For fun (depending on your definition of “fun”), Bill does triathlons, half marathons, and is getting into long-distance swimming. He also enjoys cooking and gardening. He and his wife, Barbara, are the proud parents of three children. alignstaffing is the region’s leader in healthcare, social service, and education staffing. With proven expertise in finding and placing clinical, high-level administrative, and ancillary staff, they consistently recruit the best talent and help their clients solve their unique staffing challenges. The Connections Therapy Center provides pediatric occupational therapy, physical therapy, behavioral (ABA and Autism Services) therapy, and speech and language pathology services to families with children who have specials needs from infancy to adolescence. 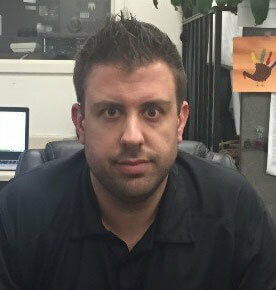 Aaron is a native of Maryland, husband to his beautiful wife, and a family man. Nayla began her career in finance, but after volunteering regularly with an NYC youth basketball organization, she made a major career pivot and has followed her passion in the non-profit world of youth athletics ever since. She came to Baltimore to become the Executive Director of what was then Bmore Kids, and now leads the Volo City Kids Foundation. Nayla grew up in New York City playing a variety of sports in environments that ranged from park pickup games to competitive leagues, camps and varsity teams. At every level, she recognized the valuable lessons and habits that sports teach. Her goal is to create a community where every child has access to these experiences and the associated benefits. 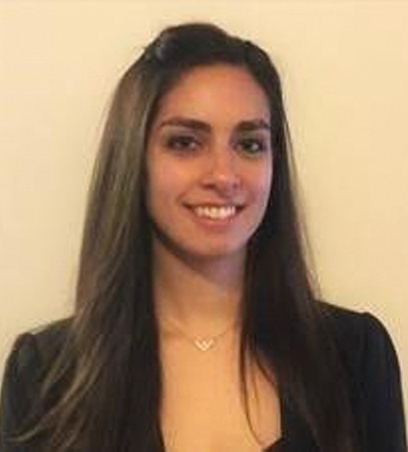 Nayla received her BS in Business from the University of Maryland at College Park, and has her MBA from the Wharton School at the University of Pennsylvania. 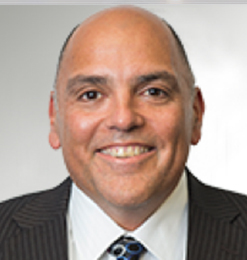 Nestor, a Mechanical Engineer from the University of Maryland, has more than 25 years of experience in Engineering & Operations Management, as well as Strategic Planning and Business Development in both the public and private sectors. Nestor transitioned from President to CEO in December 2016. During his professional career, Nestor guided and participated in Strategic Planning & Business Development efforts for start-up companies as well as various divisions of The Procter & Gamble Company. He led the R&D and Operations efforts for 180s “Inc. Magazine’s 2003, 9th Fastest Growing Company in the US” which grew from $3 million to $47 million in 5 years. He has led the master-planning, design, construction and startup of factories and facilities for Procter & Gamble in various countries including India and China, and led programs with Bechtel, Flour Daniel and Lockwood Green Engineering Companies. 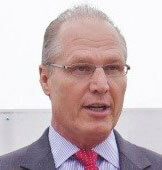 In his prior role as COO, Nestor optimized the operational execution of EMG to deliver record profitability in 2007 . He was promoted to President at the end of that year. He is focused on delivering EMG’s Strategic Plans and is directly involved in overall business development efforts, including the company’s fast growing Capital Planning Division. He drives our strategy for intelligent, ethical, and profitable growth. Nestor is passionate about maintaining an organization grounded in mutual respect, and committed to the development of every employee. 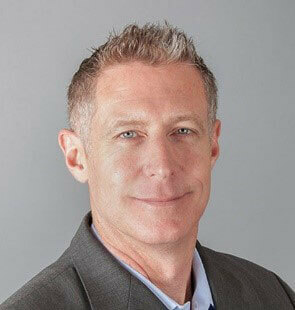 Over the last 29 years Jeff has been a designer, CEO, educator, consultant, and investor. He enjoys the creative process, both from an artistic and organizational perspective. Currently he's bringing these divergent experiences together in order to help companies develop more conscious, purpose-driven business models; and to help investors build societal as well as financial value. He tries to bring right and left brain thinking to problem solving, business creation and investing ideas; hopefully asking better questions and using his expertise to make the lives of those around him more fulfilling and successful. With more than 22 years of employee benefit consulting experience, he has built a consulting firm focused on controlling healthcare cost by improving employee health for clients of all types and sizes. His experience with diverse employer demographics and needs has provided a thorough expertise in all facets of employee benefit programs including: financial analysis and projections, underwriting negotiations, DOL compliance, electronic eligibility and administration, and employee communication. Additionally, he is well-versed in focused wellness initiatives. The genesis of McQuade Consulting, LLC was the realization that mainstream theories do not provide a holistic approach to cost containment. Our approach is one that focuses on improving employees’ health, not reducing benefits or cost shifting, to control cost. In 2011, after several decades in the corporate sector, Veronica Cool established Cool & Associates LLC, a management consulting firm to build a bridge to the Hispanic Market. She specializes in Hispanic Marketing & Community Outreach, Recruiting & Staffing, Financial Services, Management Advisory Services, Training and Professional Development including Speaking & Facilitating workshops and Seminars. Cool has over 20 years of experience in commercial banking, lending, financial analysis and sales management, working with Wells Fargo and Bank of America. She has developed in-depth management, operational & leadership expertise with projects including leading the state-wide Maryland Hispanic Chamber of Commerce, a volunteer-run membership based organization that represents the 40,000+ Hispanic businesses in the region. She is a graduate of Kutztown University with a B.S. in Business Administration, and also holds a M.S. in Finance degree from Loyola University of MD. A native of Dominican Republic, she is the past Board Chairman of the MD Hispanic Chamber of Commerce, and currently serves on the boards of Open Society Institute, Big Brothers Big Sisters of the Greater Chesapeake, Hispanic Leaders Association and Advisory Board of the MD Small Business Technology Development Center. She is married with two children and lives in northwest of Baltimore, MD. Frank has been with Stanley Black & Decker for 18 years with various roles in Sales, Training, Channel Management, Product Development and Brand Marketing. Most recently Frank was instrumental in driving the rebranding efforts for the iconic BLACK+DECKER brand within the company. Currently, Frank is the Vice President of Breakthrough Innovation for the Infrastructure Business of SBD where he leads a small team in Towson, Maryland. The Breakthrough Innovation team is an autonomous, off-site team that pursues new ideas, new technologies and new business models. Frank is constantly meeting with startups, entrepreneurs, leading academic institutions, and potential partners for future inspiration. Frank graduated from Towson University where he met his wife Melissa. Frank, Melissa, and their three daughters; Ava, Brennan and Tess, live in Bel Air. Frank has previously sat on the local Baltimore Chapter for the Make-a-Wish Foundation and remains engaged with Towson University students and faculty as an advisor for their Entrepreneur and Innovation initiatives. 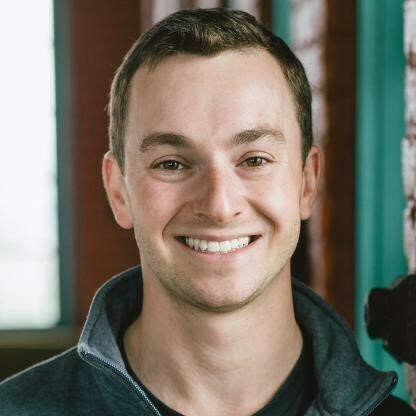 Zach is the CEO of Holly Poultry LLC, State Street Poultry and Provisions LLC, and Protein Associates LLC-- all of which are food-based businesses. Holly Poultry LLC is a food service distributor that focuses on restaurants from New York to Richmond. State Street Poultry and Provisions LLC is a protein commodity distributor to retailers and distributors from New York to Richmond. Protein Associates LLC is a commodity trading business that operates out of Florida and North Carolina and services proteins around the world. He is leading the businesses into the 21st century with big expansion goals, strong career-minded employees, tech upgrades, and revolutionizing the way the industry works. Zach’s a father to four beautiful children, a sports enthusiast, and a huge Ravens and Caps fan! Founder, Washington Technology Group Inc.
A 4th generation native Washingtonian, Rodney attended, Calvin Coolidge High School graduating in the class of 1973. 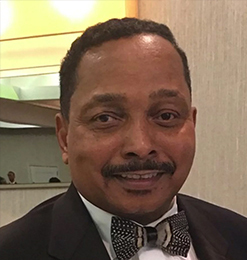 Understanding the benefits of a college education, Rodney attended Washington Technical Institute, now the University of the District of Columbia receiving his Associates Degree in Electrical Engineering in 1976 and in 1981, earned his BS Degree in Electrical Engineering from Howard University. In July of 2018 Rodney Hawkins was awarded his Honorary Doctoral Degree by GODSU. 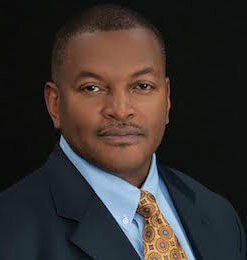 Dr. Hawkins founded WASHINGTON TECHNOLOGY GROUP, Inc., (WTG) in 1999. With headquarters in downtown, Silver Spring, Maryland, WTG focuses on providing essential Informational Technology (IT) support services for both Federal and commercial customers. The early years were lean but with determination, perseverance, GRIT, a whole lot of faith and help from others, Rodney built a strong IT company that has employed close to 100 IT professionals. Dr. Hawkins believes his faith is the anchor in his life. After his childhood, where he was spiritually raised by his father (Mr. Melvin H. Hawkins) and attended Our Redeemer Lutheran Church, Rodney sought a deeper level of worship that would reflect more of who he was as an African American man. He joined the Nation of Islam. However, when he made the decision to take his Shahada and join the community of Masjid Muhammad, now the Nation’s Mosque, in Washington, DC, in 1989, he found the sense of belonging to a faith that was more holistic and more fulfilling for him on a deeper level. Rodney simply loves Al-Islam and Masjid Muhammad’s community and all of the believers who worship there and who have supported him with their prayers and words of encouragement in both his personal and business affairs over the years. Dr. Hawkins has is an active participant with mentoring the students of Incarcerated Youth Program High School (IYP) since 2005. He is active in their Career Day programs. Incarcerated Youth Program strives to provide students with meaningful educational experiences that foments learning and motivates them to continue their advancement in school after they are released. Rodney and his wife, Cheryl Lewis Hawkins, live in Washington, DC. They have been married for 29 years and have one son, Christopher Lewis, and two grandchildren, Diamond Lewis and Christopher Lewis, II. 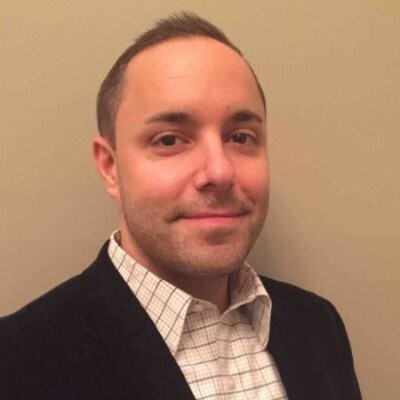 Jonathan, President of Exclamation Labs, is a strategic executive and entrepreneur with over 20 years of experience building a talented team dedicated to digital greatness. Exclamation Labs launched at the dawn of the internet revolution, and is an industry leader in creating enterprise level web applications. The company has grown steadily due to its unparalleled work in digital product development, UX and usability, data science and analytics, web applications and enterprise architecture design. Exclamation Labs is a senior team of technologists, experience designers, and digital consultants who are passionate about creating digital greatness. We align your ideas and goals with the right strategy, tools and people to realize them. Tom Ingegno M.S.O.M., L.Ac. is a licensed Baltimore Acupuncturist and Certified Animal Acupuncturist with over 17 years of experience in Oriental Medicine. 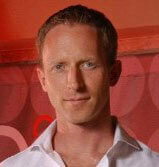 He has a Masters degree in Oriental Medicine, and a Bachelor's degree in Professional Health Science. Tom has expanded his practice to include several cutting edge therapies that all stimulate the body’s natural ability to heal by knocking down inflammation and improving circulation. He is also certified to treat companion animals including dogs, cats and horses. Tom has appeared on Fox 45’s morning show to discuss and demonstrate animal acupuncture. He has volunteered to treat animals with several Baltimore rescues and has performed acupuncture on a rescued Pit Bull from Michael Vick, Camels in Egypt and has even been a consultant to the Maryland Zoo. Tom continues his education by studying with prominent Acupuncturists both in the US and abroad to ensure that he continues to expand his knowledge base and skill to provide the best possible care. Giselle’s mission in life is to provide transformational service by empowering and equipping individuals and teams. With more than 15 years of multi-industry human resource experience, she has unparalleled expertise in strategic planning, organizational development, recruitment, talent development, employee/union relations, benefits/compensation administration, and compliance. Presently, Giselle serves as the Senior Vice President of Human Resources at The HSC Health Care System. Giselle joined The HSC Health Care System in August 2015 as the Human Resources Director and advanced to the position of Vice President of Human Resources in June 2017 to drive operational excellence. In October 2018, she was promoted to her current role as Senior Vice President of Human Resources, where she is responsible for providing strategic and functional HR leadership for more than 700 employees who care for the members, patients and families. Prior to joining The HSC Health Care System, Giselle served as the Human Resources Executive at American Wood Fibers where she led the strategic vision of human resources management in alignment with corporate objectives. 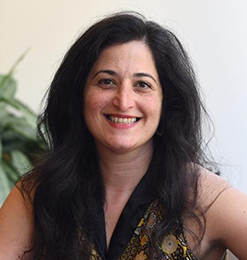 During her time at AWF, Giselle championed the revamping and execution of comprehensive career plans and a sophisticated compensation structure. Prior to joining American Wood Fibers (AWF), Giselle served as the Human Resources Director at Sotera Defense Solutions, Inc. Giselle pioneered all phases of human resources management. She oversaw and performed strategic analysis to assess performance across all HR functions and contributed to exponential growth through multiple acquisitions all while continuing to provide superior customer service to the people, the fabric of the organization. 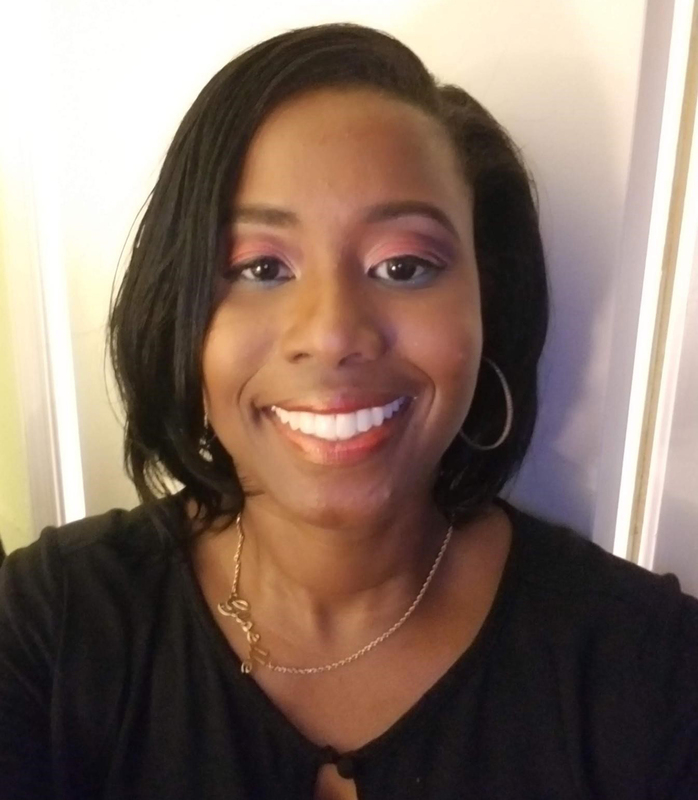 Giselle believes in a lifetime of learning evidenced by degrees and certifications including her Masters of Business Administration (MBA) from The George Washington University as well as SPHR and SHRM-SCP certifications. Giselle’s passion for HSC’s mission has led her to champion results through others because she believes a fully engaged workforce is an important way to serve. ZeroChroma's signature technology is an uber-functional kickstand that allows users to view their phones or tablets in portrait or landscape mode, at any angle. Their infinite angle Flux-Stand also doubles over as a handle for viewing on-the-go, photography, and filming as well as an attachment base for car dashboards, armbands, refrigerators, etc. ZeroChroma increases the functionality of your device, making it easier for you to use or help you discover cool new ways to use your phone or tablet. Brian is an accomplished entrepreneur and chief executive with a portfolio of successes helping others to orchestrate the start-up, growth, and optimization of diverse businesses spanning multiple industries. 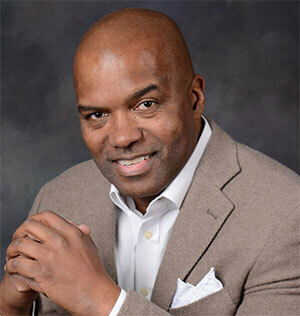 Born and bred in Baltimore, Brian is active in the community and present on a number of Baltimore-based boards. He enjoys the outdoors, forward-leaning mindful people, and letting his creative and innovative juices flow. Evan founded Hungry Harvest in the basement of his University of Maryland dorm room in 2014. He began by packing bags of produce himself and delivering to 30 customers. A few months later, Evan’s idea was validated on Shark Tank when he struck a deal with Robert Herjavec. Now the Hungry Harvest team is up to 11 and delivering across Maryland, Virginia, Pennsylvania and New Jersey. Hungry Harvest is a produce delivery company on a mission to end food waste and hunger. In the US, 40% of food goes to waste. At the same time, 1 in 5 people go hungry. They use one problem to solve the other. Hungry Harvest works with farmers and wholesalers to recover their surplus, or cosmetically imperfect, produce and deliver it to subscribers every week at an affordable price. For every box of produce we deliver, they donate or subsidize produce to fight hunger in our communities. In just two years, they have recovered over 2 million pounds of produce and donated over 450 thousand pounds to those in need. John is Certified Financial Planner (CFP®) with the Leibowitz Magiros Group and Vice President with Morgan Stanley where he’ll be celebrating his 10th anniversary in a few short months. John also holds the position of Director of Finance for the non-profit, Volunteers Untapped Baltimore, a newly crowned Best of Baltimore 2015 “Best Win-Win.” He also serves as the second Vice President of the Sports Boosters of Maryland nonprofit. In addition to enjoying local philanthropy, John is an avid music lover and Terp fan. John formed the Leibowitz Magiros group in 2006 with Jerry Leibowitz, Executive Director of Wealth Management at Morgan Stanley with the vision of creating a high-level of experience for clients based on objectivity, financial efficiency and specialization. The success of the group’s mission has led John exceedingly close to the short-term goal of becoming the youngest Family Wealth Director firm-wide. Jamie's mission is to spur people to give, act and innovate on behalf of communities and causes. She writes and speaks about social innovation, online engagement and giving, next generation philanthropy, and the rise of giving movements as a force for changing communities. Jamie lives in Baltimore with her husband and three wonderful children. Mack McGee pushes SC&H Group out of its creative comfort zone. As Vice President and Chief Marketing Officer, he guides the marketing and business development teams to implement innovative strategies for the firm’s nine divisions. 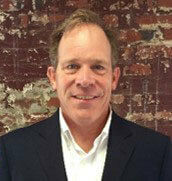 Mack is responsible for driving new and meaningful growth by aligning SC&H’s overall sales and marketing efforts. This includes enhancing overall brand awareness, expanding firm relationships and establishing strategic partnerships, promoting the firm’s industry expertise and thought leadership, and coordinating educational and value-driven events. Mack’s goal is to bring to market the depth of experience and expertise the firm has in its people and processes. 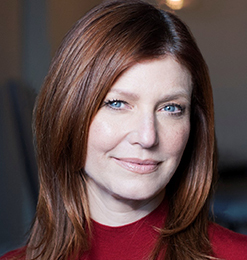 Prior to joining SC&H Group, Mack was the Executive Vice President and Principal for an award-winning, Baltimore-based creative agency. 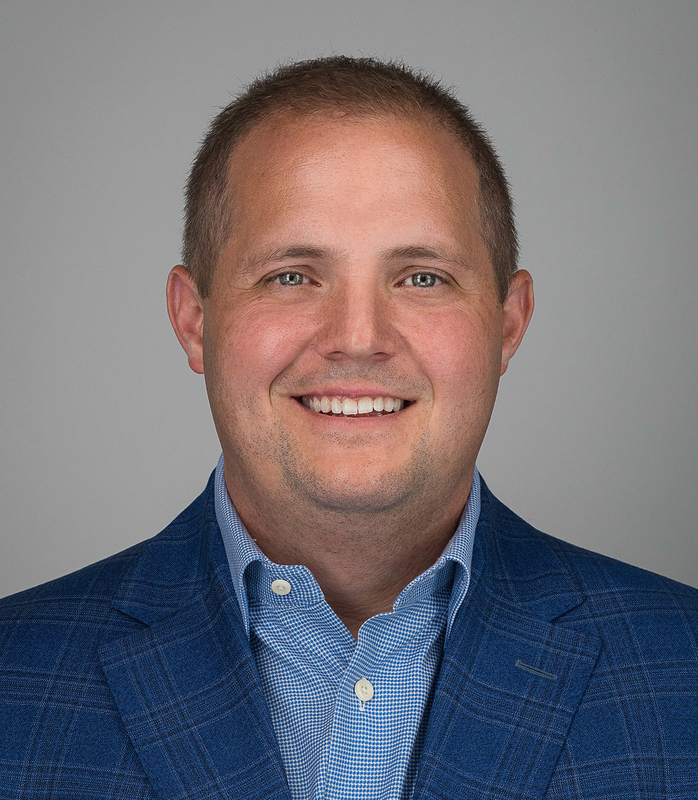 He was instrumental in the agency’s growth, driving internal leadership development and overseeing the client experience for companies in varying industries, ranging in size from middle-market to enterprise. Mack has always been passionate about helping businesses define their voice and value and use these critical elements to drive growth. For more than a decade, Mack coached Special Olympics teams in Maryland. Today, he serves on Board of Directors for Special Olympics Maryland, helping to develop corporate partnerships, raise funds, and drive awareness. Mack is also the Vice Chair of the Maryland Chapter of the Cystic Fibrosis Foundation. Since 2008, he has chaired the foundation’s “Passion for Food and Wine” and “Feastival” events, helping to raise more than $2 million for the organization to date. Mack is a devoted husband and father of two, and a loyal fan of The University of Maryland (Go Terps!) and The University of Alabama (Roll Tide!). He is a graduate of the University of Maryland, with a B.A. in Communications. 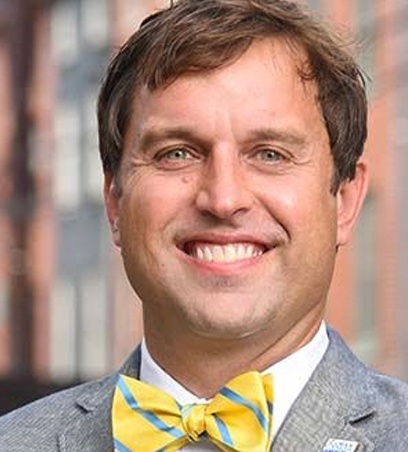 As CEO at Habitat for Humanity of the Chesapeake, Mike Posko values and rewards creative thinking, initiative, teamwork, commitment, and performance. He draws on his training as executive coach and certified mediator to gain consensus and build motivation. Driven by challenge and undaunted by obstacles, Mike has been enthusiastically received by staff and community alike since joining the Baltimore-based Habitat affiliate in February 2012. Mike’s career encompasses over 30 years of supervisory and management experience. His diverse background includes work in government, public, and private sectors as well as industries including security and defense, finance, retail, real estate development, and construction. 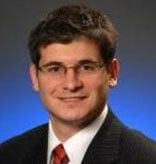 Recently, he was named a principle of commercial real estate firm, Cross Street Partners, LLC. 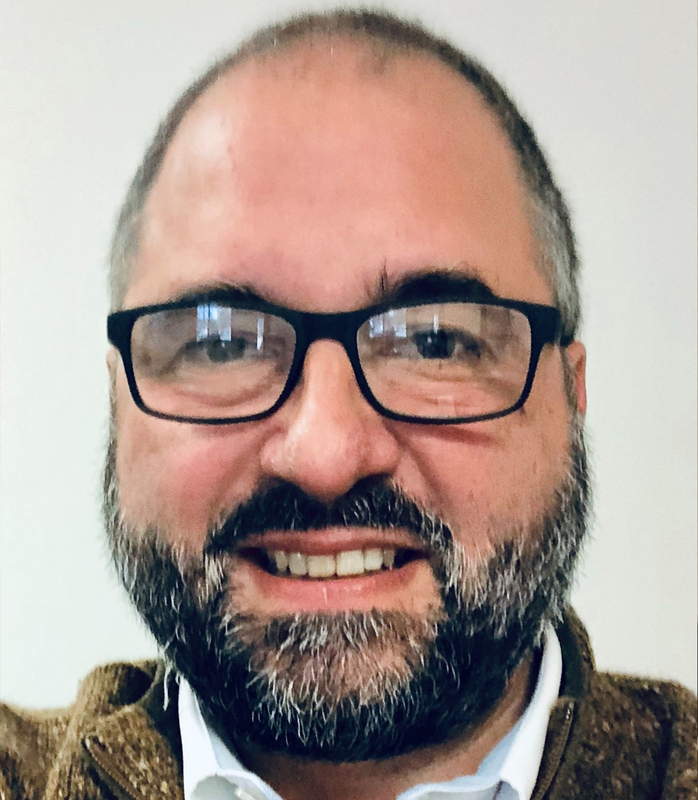 With a passion for serving both the local and global community, Mike has served on several boards of directors over the last several years, including CASA of Baltimore (Court Appointed Special Advocates for Children), St. Frances Academy and Civic Works. He has also served on the committees for BOOST (Baltimore Out Of School Time) and Maryland Sister State Committee for Liberia. In 2008, Mike facilitated a trip to Liberia as a representative of the Maryland Sister State Committee for Liberia. He enlisted Engineers Without Borders to perform and infrastructure study in the devastated Liberian counties of Bong and Maryland. In November 2011, Mike was traveling to Nepal to participate in a Habitat International Global Village trip when he received a request from the Baltimore affiliate’s board chair to interview for the CEO position at Habitat for Humanity of the Chesapeake. Richard began his career in the insurance industry in 1981, and over the years discovered there was a need for clients to have more innovative strategies for cost control, compliance and wellness along with a higher level of service and a dedicated team to help them achieve better outcomes and a competitive advantage. Richard founded SIG in 1999 with the goal of providing clients with the most creative, innovative and thorough analysis of their employee benefit plans so that they can provide the best value to their employees and dependents at the lowest cost. As an extension of HR, SIG also provides the technology and resources that help employees understand their options, how to save money, and how to navigate the health care system. Not to mention, SIG has been recognized as a Baltimore Best Place to Work. Richard is a significant influencer and impactor in the community, and a devoted father and husband. 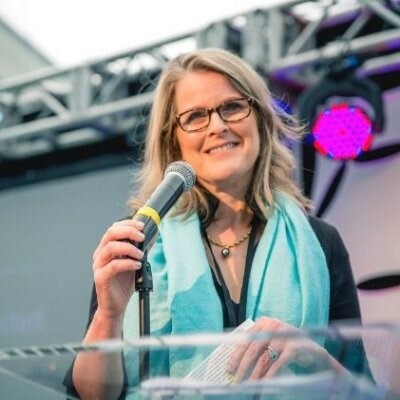 In 1996, Jenny Thompson made one of the most important decisions of her life: To leave her “Dilbertian” job and answer an ad in the Baltimore Sun for a marketing manager. Soon after, she joined the team at Agora, Inc.
She began her career with the company at The Oxford Club. In her first year there, she tripled profits. On the heels of that success, the owners asked her to take over the fledging health business. After just 10 months there, she increased the bottom line 500%. In that role, Jenny introduced over a dozen additional paid and free newsletters, launched 3 supplement lines, and acquired a skincare company. At its peak, NewMarket Health marketed 18 paid and free newsletters, more than 70 dietary supplements, and 8 skincare products to more than 1.2 million customers and prospects around the world. In 2016, with the business projected to hit $70 million, Jenny made the decision to let the next generation take over and go out on her own. Using her “blink” style marketing and business management strategy, she took off running to help create magic in growing businesses. In addition, knowing nothing about technology, Jenny is focusing all her energy on a new software startup. Wish us all luck! Steve is President and CEO of Standard Energy Solutions, the premier renewable energy solutions provider in the Mid Atlantic area. Standard Energy Solutions is a renewable energy solutions company that helps its customers reduce their energy costs, improve power reliability and reduce their carbon footprint by implementing energy solutions that include solar, energy storage & management and energy efficiency upgrades. Steve acquired Standard Energy Solutions in early 2015 and is leading the company to consistent growth. Supporting UCF from its inception, Brock has evolved from a volunteer, to a board member, and now President & CEO. Unfortunately, Brock was forced to learn about cancer the hard way. By the age of 23 he had a best friend diagnosed with cancer and he and his siblings lost their mom to colon cancer. He has been advocating for young adults affected by the disease ever since and is recognized nationally for his efforts in nearly 20 years of work in the social impact sector. In 2001, Brock was hired as UCF’s first paid employee. Over the past 17 years, he has led the growth of UCF from an operating budget of $100,000 to over $3 million. UCF now has over 25 employees who Brock manages, trains, and inspires. The organization is recognized as a national leader reaching patients and families in over 250 communities across the United States and raising over $20 million since the organization was founded. Brock also serves on many committees and advisory boards and works collaboratively with many local and national organizations. He also regularly presents to a variety of audiences on key issues faced by young adults affected by cancer. Under Brock’s leadership, UCF has expanded its Patient Navigation services from office-based to onsite programs in some of the top cancer centers in the country including Johns Hopkins Hospital, University of Maryland Medical Center and Walter Reed National Military Medical Center. Brock has also grown UCF’s scholarship program from a single $1,000 gift in 1997 to a program that has awarded over $750K to young adults affected by cancer in all 50 states. 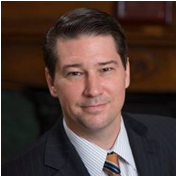 Brock graduated from the University of Virginia in 1999 with a BA in Economics and he received his Executive MBA from Loyola University Maryland in 2016. He enjoyed much success both in and out of the classroom at UVA. He holds four NCAA appearances with the Virginia Men’s Varsity Soccer Team where he served as a captain for 2 years, elected for his inherent ability to lead people toward a positive goal. He also had the honor or representing our country with the US Men’s National Soccer Team. After graduating, he played professional soccer with the Maryland Mania, worked as a manager for Abercrombie & Fitch, and coached Division I College Soccer and youth soccer. In 2016, Brock received his Executive MBA from Loyola University Maryland. 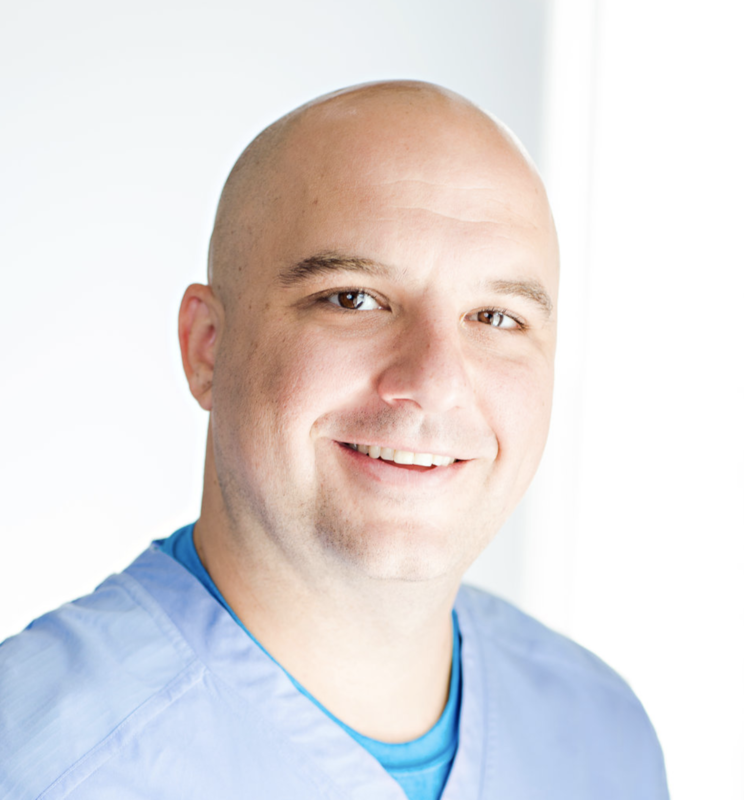 Brock is married to Julie Yetso, a Physician Assistant for the University of Maryland Orthopedics. They live in Towson, MD with their three children Olsen (6), Austin (4) and Everly (1) and Boston Terrier Kona.